This post brought to you by Fruit of the Loom. All opinions are 100% mine. 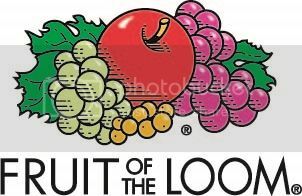 Look for Fruit of the Loom Bonus Packs at Walmart and Target. Bonus packs come with three FREE pairs of underwear (total 8 for boys, 12 for girls). Moms will be happy about the value, and kids will be happy and confident wearing new undies to school. DId somebody say it’s #TGIBTS party time? I know I did! I invited a group of moms to celebrate #TGIBTS (Thank Goodness It’s Back To School) with me. After a long summer of keeping our kids entertained day in and day out, everyone was excited to get together and hang out once the kids started back to school this week. Fruit of the Loom sent me a Party Pack to help decorate. The underwear garland was an instant hit! I mean, have YOU ever been to a party with underwear garland? Probably not, unless it was a #TGIBTS party. We kept it simple with the mid-morning snacks and served mini fruit pizzas. Then it was game time. I thought it would be fun to have the moms race to see who could pack a sack lunch the fastest. Holy cow, these moms are serious when it comes to competition. We timed everyone to see who could make an PB&J sandwich, add fruit snacks and write a love note to put in their child’s lunch the fastest. Things got a little messy. It was so much fun! I think everyone had a great time with this game. The winning mom packed a sack lunch in 33 seconds flat! After the game, it was dance time. The moms practiced their #TGIBTS dance moves so they could make a 15-30 second video to enter into the Fruit of the Loom $100 Walmart Gift Card Giveaway. You should enter to win, too! Host your own #TGIBTS party! Who would you invite to your #TGIBTS party? How would you decorate? What refreshments would you serve? 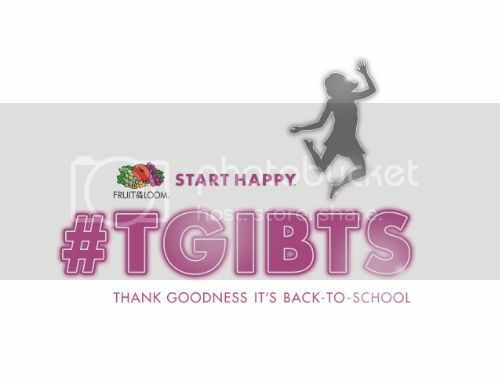 One lucky winner will win a Fruit of the Loom #TGIBTS Party Pack, just like the one I used at my party. Enter to win by leaving a comment below telling me a party idea. The winning comment will be selected at random. No purchase necessary. Open to legal residents of the 50 US and DC ages 18 and older. Contest ends 12:00am EST September 3, 2014. Void where prohibited. Subject to Official Rules. this looks like fun. a party idea for the girls that is back to school related would be to design a backpack. get a plain back pack and everyone help deck it out. Decorating the table clothes and gift bags. A party idea is coffee for moms day. I would throw a back to school party and have school supplies like paper, crayons, scissors, etc in the shape of sugar cookies. I would invite my family and friends. Our back-to-school party always revolves around the local water park. The beginning of school also signals the end of summer, so we like to have the kids one final swim in before weather and time do not allow it until next year. A good party for fruit of the loom would be to have a photo booth and underwear props! I would serve fruit smoothies, and we would decorate with fruit of course!! Decorating a backpack is a great idea!